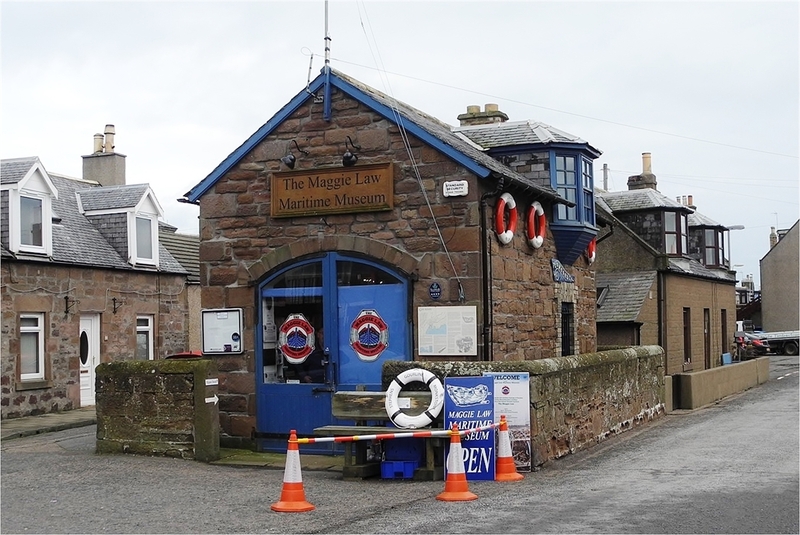 The Maggie Law Maritime Museum provides a unique experience of the remarkable maritime heritage of the village of Gourdon and its coastal surroundings. The museum seeks to celebrate this heritage in ways that only a visit can reveal. The Museum occupies the old coastguard station and apparatus shed which overlooks the Gutty harbour in the heart of Gourdon village, one of the few remaining working harbours on the Kincardineshire coastline. 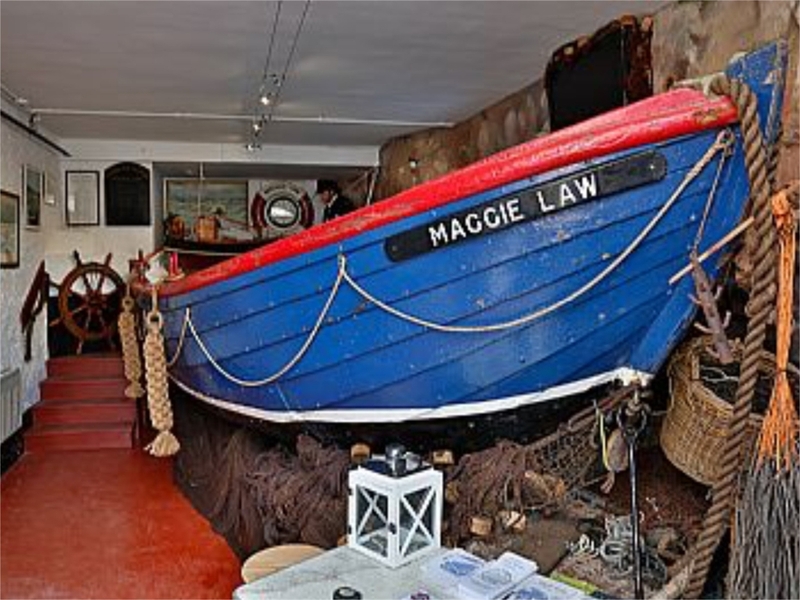 The centrepiece of the Museum is the old inshore lifeboat, the Maggie Law. The entrance to Gourdon Harbour is made difficult by the Coutts Rocks, which lie just off the harbour mouth. Many boats have been wrecked on these rocks, and many fishermen have lost their lives within yards of the harbour and shore. In 1890 the fishermen of Gourdon agreed to pay one penny in the pound from their catches, for the building and maintenance of an inshore surf boat. James (Jeems) Mowatt, the local boat builder was commissioned to build a boat thirty feet in length, with a beam of six feet, rowed by six men, and steered by a seventh man. The boat was called the Maggie Law after the daughter of a local Gourdon fish curer called Tom Law. In a period of service from 1890 to 1930, Maggie Law saved thirty six lives. The boat is still in good order and forms the centrepiece of the lower deck of the Museum. The upper deck of the Museum houses a series of interpretive panels which highlight major Gourdon connections to the Cutty Sark, the Titanic, and many other fascinating legends and tales of the Kincardineshire coastline. 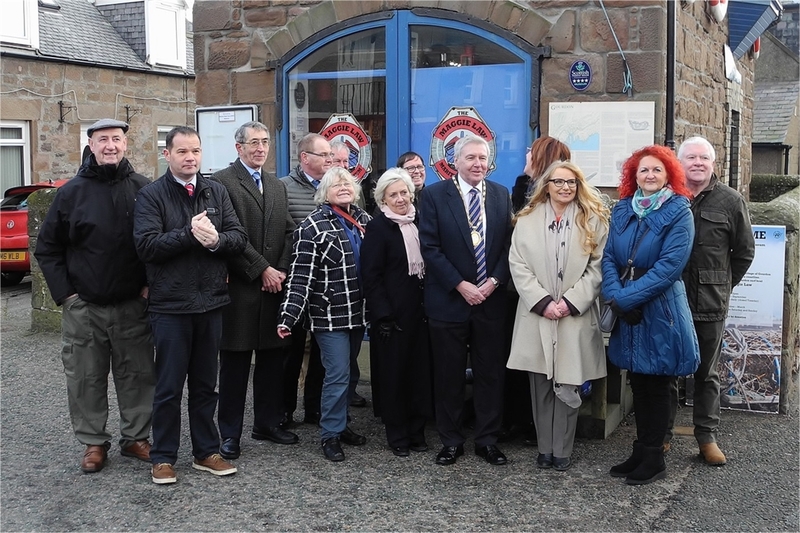 The upper deck is also home to the Linton-Mowatt education suite which is a a state of the art IT maritime heritage and education centre offering a full range of online facilities and access to all the major maritime heritage centres. The Museum’s website provides a place for local historians, musicians and artists to publish their work. The Facebook Page keeps visitors informed of day to day activities at the museum. The Museum is designed to be disability friendly in order to overcome some of the physical obstacles of the building and an audio visual “Armchair Tour” of the museum is available from the lower deck for people who may have mobility difficulties or who are wheelchair users. Outwith the advertised opening hours. the museum can be opened at request for parties of between five and twenty visitors - please contact to make an appointment.